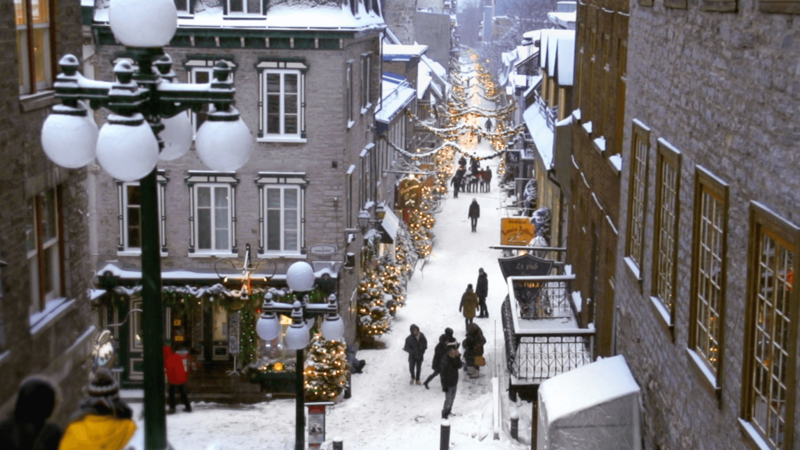 Quebec City is truly a sight to behold for the romantically inclined, francophile or otherwise. The capital of Canada’s Quebec province is a magical tapestry of cobbled streets, enchanting art galleries, cozy cafés and charming French influences. And while you certainly shouldn’t miss a stroll along the Saint Lawrence River or visit the beautiful downtown heritage area, the city has more to offer than meets the eye. Take the Saint-Roch neighbourhood: known as ​“tiny Brooklyn”, this hip, up-and-coming area is a treasure trove of cutting-edge restaurants, pulsing nightlife and independent stores. The city boasts plenty of exciting gems catering to history buffs as well. Beyond the beautiful Chaâteau Frontenac hotel towering over Quebec City, you shouldn’t miss the chance to dive head-first into the thrilling indigenous culture present in the area. The Wendake First Nations reserve is especially worth an outing, as the site does a marvellous job at letting you experience the history and culture of the Wendake Tribe first hand. The same goes for the cavernous Musée de la Civilisation showcasing marvellous works of art from the Aboriginal civilizations all the way through present day. A trip here will make it all the more intriguing to browse the vibrant art galleries that line Rue Saint-Paul, as quite a few of them are devoted at least in part to wonderfully evocative local art.